The Russian Orthodox Church called the signing an agreement on cooperation between Ukraine and the Ecumenical Patriarchate "a political step that lies outside the canonical field." This was stated by the chairman of the external church relations department, Metropolitan Hilarion of Volokolamsk, reports TASS. "The last steps and decisions of Patriarch Bartholomew, including the signing of this agreement, lie outside the canonical field, but exclusively in the political plane. Fulfilling an order from overseas players aimed at weakening and dismembering the united Russian church, Patriarch Bartholomew is in a hurry until political situation has changed and the current president is in power in Ukraine, "he said. According to him, Patriarch Bartholomew of Constantinople opposed himself to canonical world Orthodoxy and "can no longer claim to be the ecumenical coordinator for other Orthodox churches." "If the Patriarchate of Constantinople had previously acted as a coordinating center for them with the consent of the local churches, now such a center no longer exists: the Patriarchate of Constantinople voluntarily dismissed itself," the metropolitan said. Earlier President of Ukraine Petro Poroshenko and Ecumenical Patriarch Bartholomew signed an agreement on cooperation between Ukraine and the Ecumenical Patriarchate in Turkey. ‘The agreement we signed today completes this process (creation of Ukrainian Autocephalous Orthodox Church), creates all condition, in order the process of granting, or rather preparing for the Cathedral, the process of providing Tomos, was carried out in absolutely strict accordance with the canons of the Orthodox Church,’ Poroshenko claimed. Poroshenko added that the November 3 becomes a historic day. ‘I am sure that the decision of the Autocephalous will lead to the unity and the union of all Orthodox in Ukraine,’ Ecumenical Patriarch Bartholomew claimed this after signing the agreement. 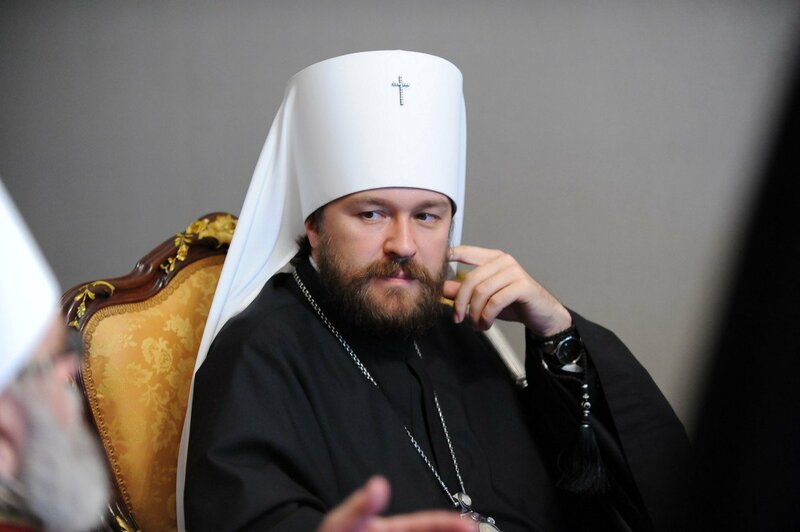 On October 11, the Synod lifted the anathema from Filaret, the head of the Ukrainian Orthodox Church of the Kyivan Patriarchate, and Makariy, the Primate of Ukrainian Autocephalous Orthodox Church. Filaret stated that a united Jubilee Bishops' Council would take place soon to create a unified Ukrainian local church.